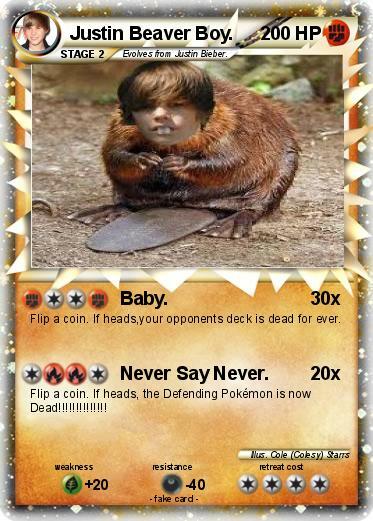 Name : Justin Beaver Boy. Flip a coin. If heads,your opponents deck is dead for ever. Attack 2 : Never Say Never. Flip a coin. If heads, the Defending Pokémon is now Dead!!!!!!!!!!!!! !